At a time when we are all more rudderless than ever, we look for the very best teachers and mentors to guide us. 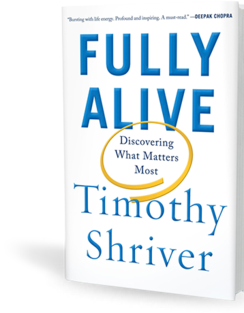 In Fully Alive, an unusual and gripping memoir, Timothy Shriver shows how his teachers have been the world’s most forgotten minority: people with intellectual disabilities. In these pages we meet the individuals who helped him come of age and find a deeper and more meaningful way to see the world. Shriver’s journey begins close to home, where the quiet legacy of his aunt Rosemary, a Kennedy whose intellectual disability kept her far from the limelight, inspired his family to devote their careers to helping the most vulnerable. He plays alongside the children of Camp Shriver, his mother’s revolutionary project, which provided a space for children with intellectual disabilities to play, and years later he gains invaluable wisdom from the incredible athletes he befriends as chairman of the organization it inspired, Special Olympics. Through these experiences and encounters with scholars, spiritual masters, and political icons such as Nelson Mandela, Shriver learns how to find humility and speak openly of vulnerability and faith. 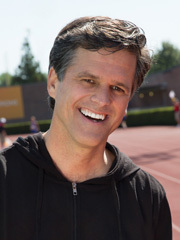 Timothy Shriver is an educator, a social activist, a film producer, and an entrepreneur. He has led Special Olympics, an organization that serves upward of four million athletes in 170 countries, for more than a decade. Shriver is perhaps best known for cofounding—and currently chairing—the Collaborative for Academic, Social, and Emotional Learning (CASEL), the leading research organization in the United States in the field of social and emotional learning. He lives in Maryland with his wife. They have five children. 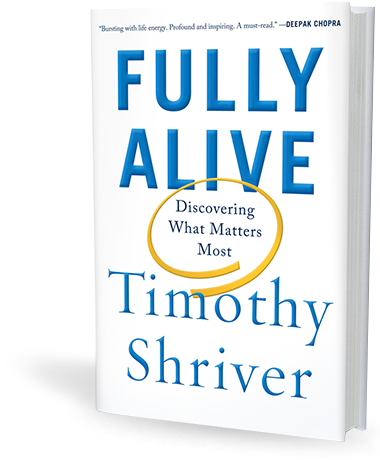 For media inquiries, call Christy White at 202-824-0307 or email fullyalive@timothyshriver.com. This is the story of Rosemary Kennedy’s role in leading the family to its force as advocates for the disabled all over the world, of her sister Eunice Shriver’s founding of Special Olympics, of her nephew Timothy’s dedication to this great cause. I was lifted, edified, riveted. --ANNE LAMOTT, AUTHOR OF "SMALL VICTORIES"